Founder and CEO of restaurant development company Blau + Associates and James Beard Award nominee, Elizabeth Blau is widely credited with transforming Las Vegas into the world-class culinary destination it is today. Blau began her career working with famed restaurateur Sirio Maccioni, catching the attention of well-known casino developer Steve Wynn. As the mogul’s vice president of restaurant development, she revolutionized Las Vegas dining by attracting award-winning chefs to the groundbreaking Bellagio. In 2002, she founded Blau + Associates, quickly turning the firm into one of the foremost restaurant development companies in the field. 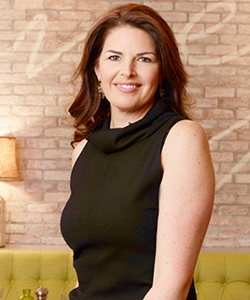 A dynamic television personality, she’s a judge on CNBC’s “Restaurant Startup” and has been featured on the Travel Channel and the “Martha Stewart Show.” Currently, Blau and her group operate three restaurants in Las Vegas, including local favorites Honey Salt, Andiron Steak and Sea, and Buddy V’s Ristorante. Co-owner and culinary visionary behind the award-winning Honey Salt in Las Vegas as well as principal and co-founder of Blau + Associates tops off the line up. 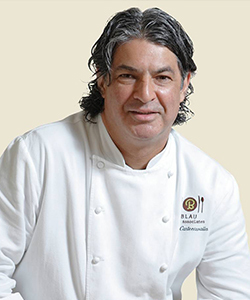 Former executive chef of the MGM Grand in Las Vegas and the Beau Rivage in Biloxi, Mississippi, Canteenwalla has managed restaurants and resorts around the world, including Cambodia, Indonesia, Dubai, and Thailand. A participant in dozens of high-profile culinary events, Canteenwalla is a four-time participant in Best Hotel Chefs in America series at the James house and proudly serves on the Culinary Council of Three Square, a Las Vegas based food bank. He also works as a culinary advisor for the Life Is Beautiful Festival, an annual celebration of art, music and food in Las Vegas. Currently, he serves as chef partner of Buddy V’s Ristorante, a collaboration with his wife Elizabeth Blau and TV’s “Cake Boss” Buddy Valastro. Recently, the restaurant power couple announced two new restaurants in Las Vegas: Made L.V., a modern American tavern, and an unnamed concept scheduled to open in Downtown Summerlin. 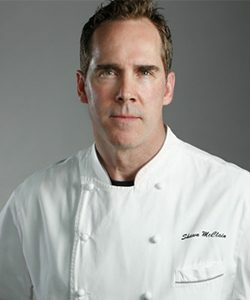 The sixth annual event welcomes Shawn McClain an award-winning chef and restaurateur. His newest restaurant Sage, at Aria resort in Las Vegas, is a seasonal ingredient-focused New American dining spot that curates an ever-changing menu of contemporary American cuisine with global influences. He opened his first restaurant, Spring, in Chicago in 2001 to extraordinary critical acclaim. That same year, Spring was nominated for the James Beard Foundation’s Best New Restaurant award, and McClain was named Esquire magazine’s Chef of the Year. By 2004, McClain opened his second restaurant in Chicago, Green Zebra. An immediate success, this vanguard concept brought vegetables to the center of the plate and was lauded by The New York Times, Bon Appétit, Food & Wine and several other prestigious publications. In 2005, he swung the pendulum in the opposite direction and opened Custom House. Located in an historic, boutique hotel setting in Chicago’s Printer’s Row, this modern interpretation of the classic steakhouse focuses on artisan meats and classic sides reinterpreted with McClain’s unique flair.